Our Summer 2018 Program has officially ended. 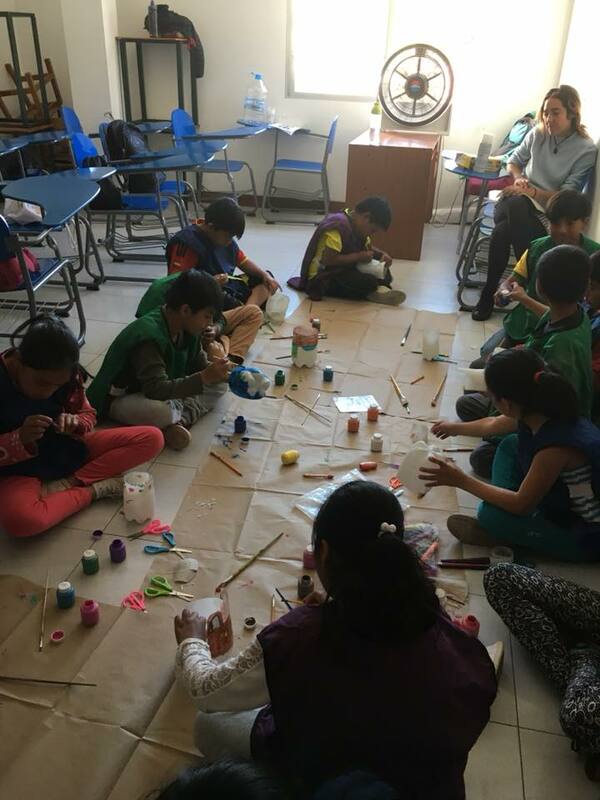 Our students and tutors spent their last week learning English, painting, and building teamwork skills both in and out of the classroom. Their last day was also packed with activities such as face painting, soccer, and a talent show! Week 2 of our summer program is now completed! This week our tutors and students went to a petting zoo to play and learn about animals, made robots in art class, and had a special performer from USFQ come in and teach our students a song and dance. These are just some of the fun activities from this week but we would like to thank our amazing tutors from UM and USFQ for all of their hard work thus far! Our first week of camp is officially finished! 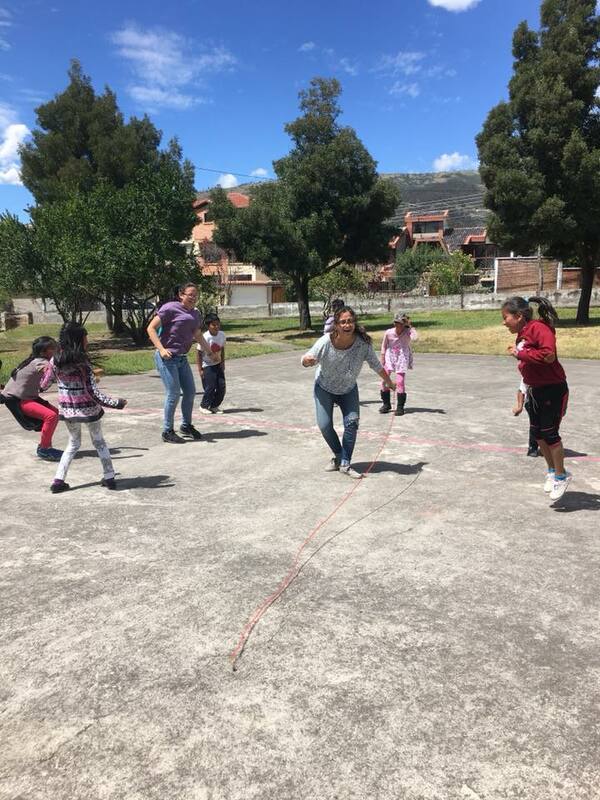 Our UM tutors arrived in Quito the beginning of July to participate in bonding activities with the USFQ tutors, set up the classrooms for our summer program, and finalize lesson plans and activities. Camp has been filled with smiles and laughs as our kids enjoy watching the World Cup semi-final games, playing with their classmates and tutors, and completing interactive art lessons, and much more! Check out some of the photos from this week and stay tuned for more updates in the coming weeks. TQP members Marina Ross, Nora Kuo, and Megan Zabik, created an online campaign to raise money to provide TQP students with two meals a day at our Summer 2018 program. Our goal was to raise $600 but we ended up surpassing that goal by raising $740 in less than a day! We cannot thank all of you enough for all of your support in your generosity and the constant push and motivation we receive from you to inspire us to work harder every day. 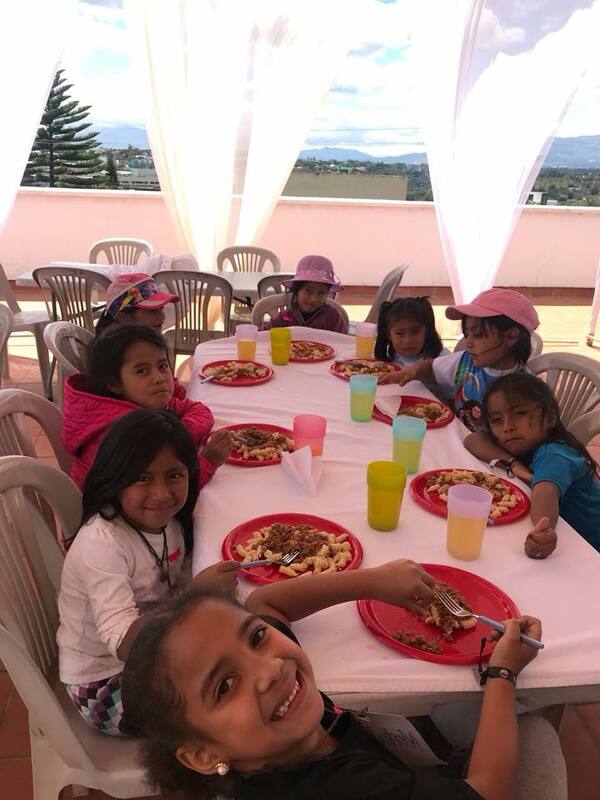 We love our kids in Quito, and thanks to you, they will experience the great summer camp that they deserve! Keep an eye out for news and photos of our kids in July when camp starts - we can't wait to celebrate with all of you! 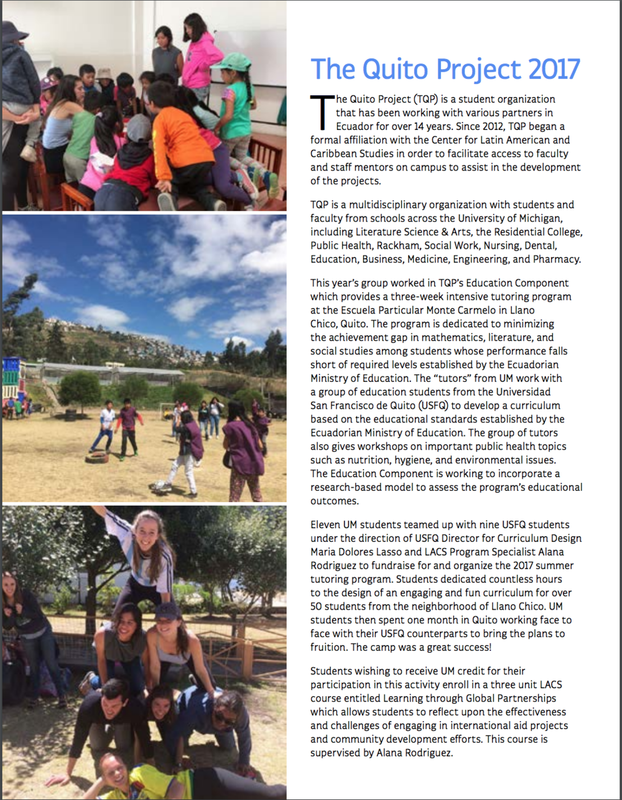 This May, The Quito Project met with Scarlett Middle School and Slauson Middle School to give a presentation about Ecuadorian culture, geography, our summer program, and the students we work with in Quito. At the end of the presentation the students wrote letters to our students in Ecuador which we are so excited to bring this July. 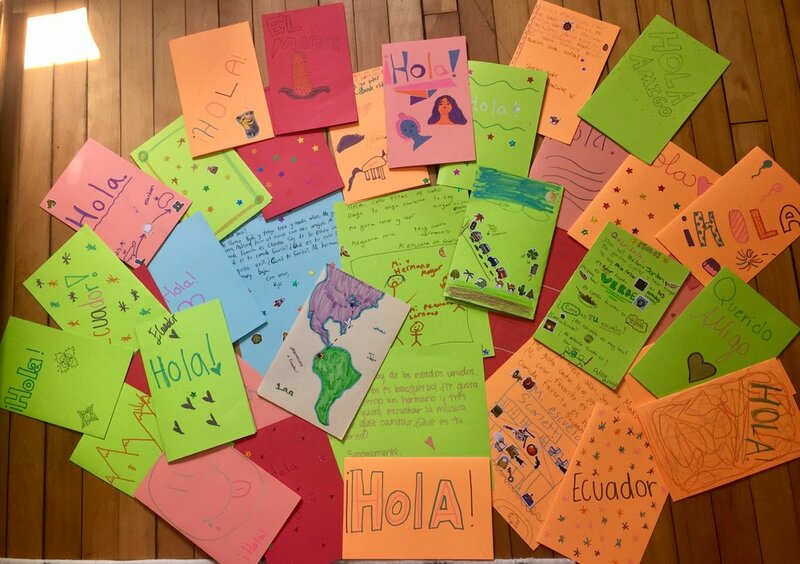 We are so happy to start this pen-pal program this year to connect students from Ann Arbor to Quito in order to continue promoting global collaborations through education and understanding. This year, The Quito Project hosted another school supply drive in order to receive donations to help run their free summer program this July. So far, we have received hundred of supplies thanks to the support of generous individuals across the University of Michigan Campus, Bach Elementary, and Scarlett Middle School. Without their generous support, none of this would have been possible. We would like to thank everyone who has supported us and our students in Ecuador. 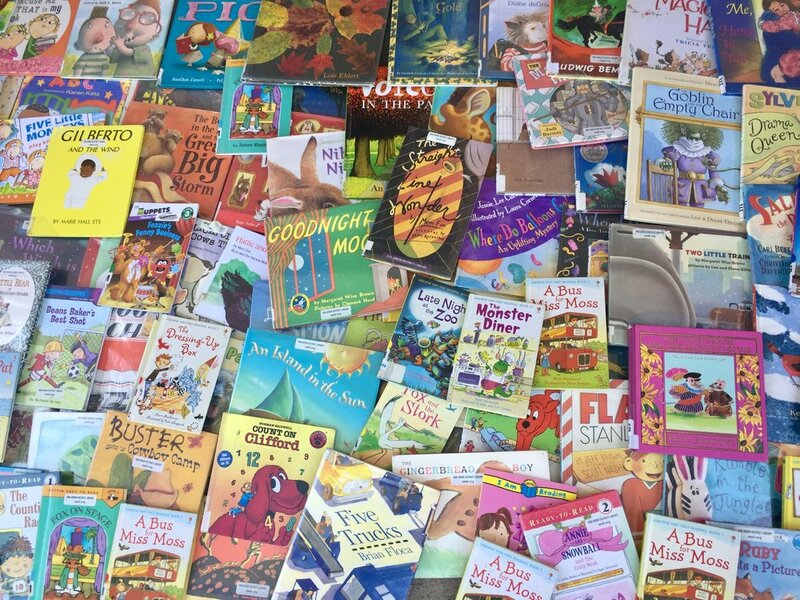 Our students will be very excited with all of the books and school supplies we will be bringing them this year! If you would still like to help, we are accepting donations at the Language Resource Center (1500 North Quad) until May 4th and Bach Elementary School until May 25th. The Quito Project was honored with the Global Impact Award from the University of Michigan! This award was given based on the fact that TQP demonstrates leadership in achieving the international mission of the University of Michigan through promotion of international involvement and understanding. We are so proud of all of the hard work our members have put into TQP to receive this award through promotion of continual growth among our students in Ecuador, and positive intercultural engagement and collaboration practices at the University of Michigan. We would also like to thank the Center for Latin American and Caribbean Studies, La Universidad de San Francisco Quito, UM Library, the English Language Institute, and the Romance Languages and Literatures Department. None of this would have been possible without their support and belief in TQP. We are excited for what is to come and to continue making a positive impact! On March 24th, The Quito Project members created the donation boxes that will be used for our annual school supply donation drive! This year, we are partnering with over 8 different academic departments on the University of Michigan campus and Bach Elementary School to help host our event. 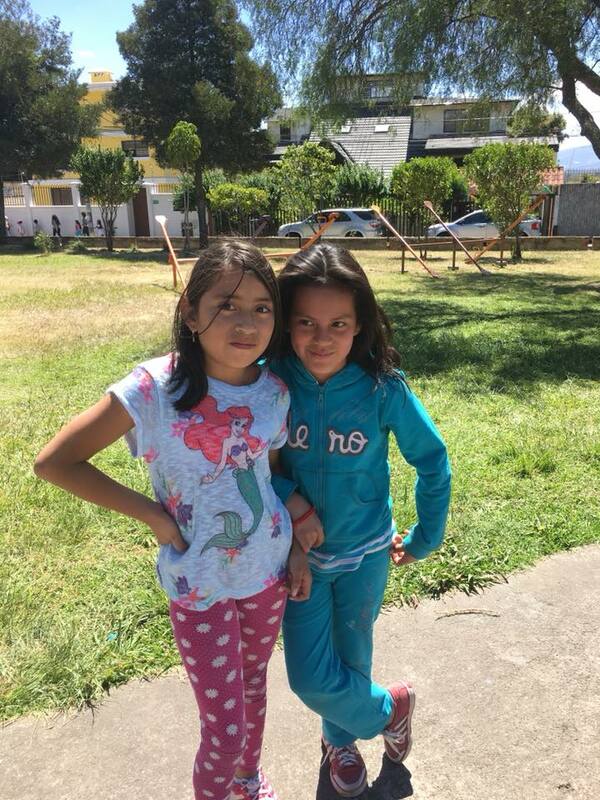 The supplies we are collecting will be used by our students and tutors to help run our free summer educational program for underserved children in Quito, Ecuador. Donated supplies will provide our students with the tools to learn, and have a fun and memorable summer. Our drive will be from April 2nd-April 26th and more information can be found on our upcoming events page. Please come out and donate to directly support chrildren's education, well-being, and the success of our program. Click on the button below for our full gallery of our event! This year TQP hosted its second annual workshop aimed at educating University of Michigan students on the best ESL practices, cultural humility, positive international engagement, and avoiding the pitfalls of "voluntourist" behaviors. Our event was completely booked up this year and it was exciting to see so many students take initiative to become global leaders and more collaborative international partners. We would like to thank to Melinda Matice from the English Language Institute, Tatiana Calixto from the Romance Languages and Literatures Department, and Sarah from the Global Engagement for sharing with us and our participants invaluable information that will be applied by TQP and other University of Michigan student groups across the globe. The Quito Project would also like to thank Chela's Restaurant and Taqueria for sponsoring our event and donating all of the delicious food! None of this would have been possible without all of the support and generosity from all of the departments, individuals listed above, and the UM Library! Because of their support and the expressed interests of our workshop participants, we will now be hosting two workshops throughout the year. We will also be partnering with more UM academic departments to further spread this imperative knowledge and ensure that UM students and groups continue being positive global leaders. Click on the button below for the full gallery from our workshop! The University of Michigan Center for Latin American and Caribbean Studies has featured TQP in their 2017 Summer Recap. Please click on the image to read the full article about TQP or click on the button below for the full recap!